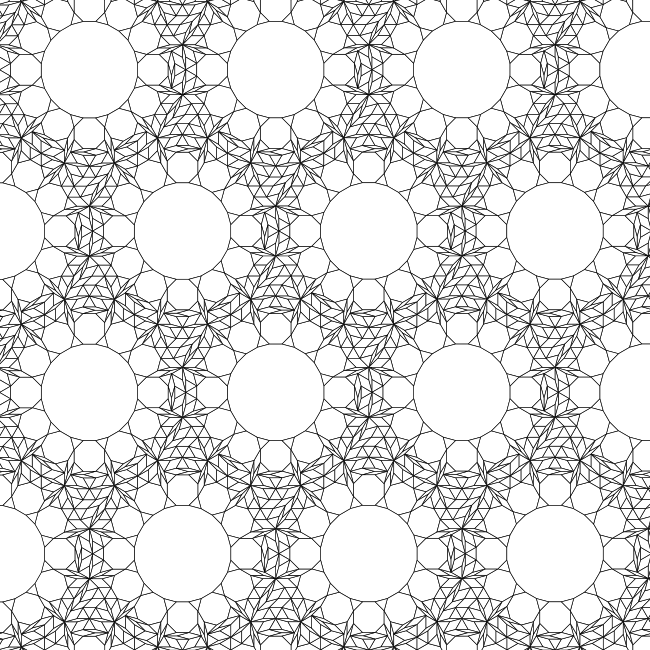 An octagon Easter egg and a larger convex "jewel". 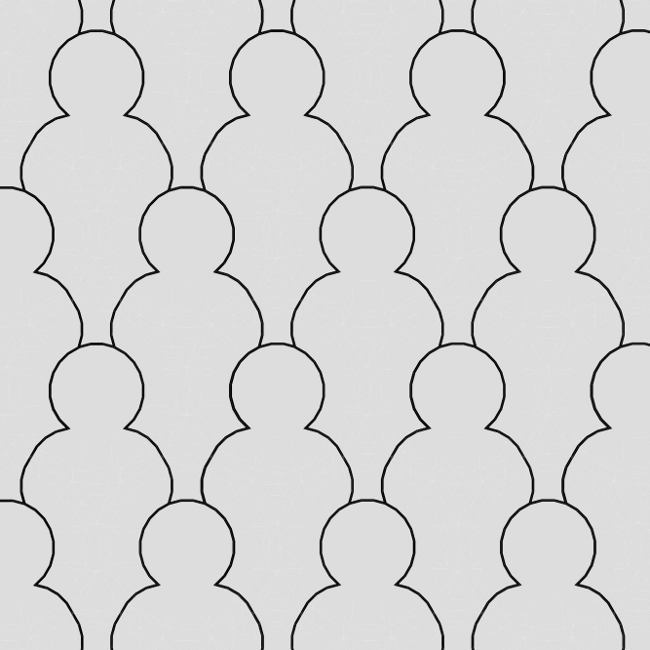 The translational unit for this tiling looks like a traditional milkmaid to me. 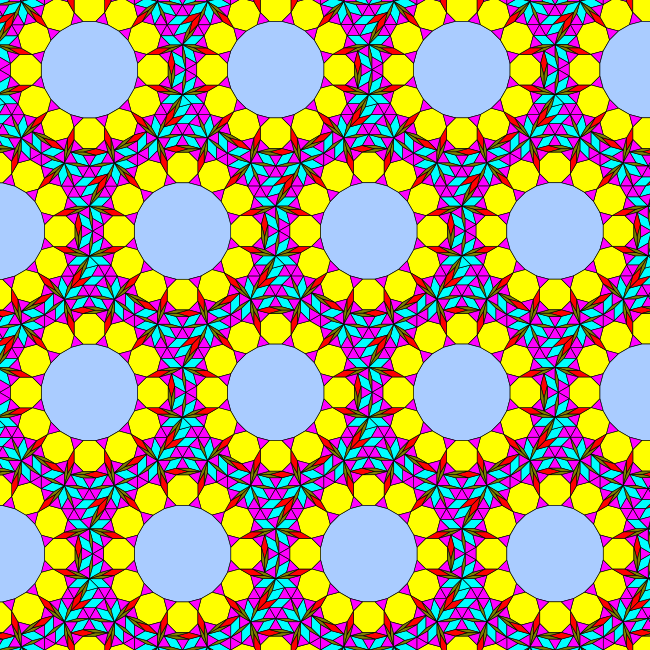 The octogons appear as though they are the ends of colourful Easter eggs, a convex pattern that resembles the "jewels" I have noted in other tilings. 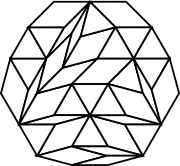 The translational unit also contain two copies of another convex irregular polygon jewel, best seen in the alternative colouring below. One copy is a rotated version of the other. Every 24-gon is the centre of a rose with alternating triangle and octagon petals. 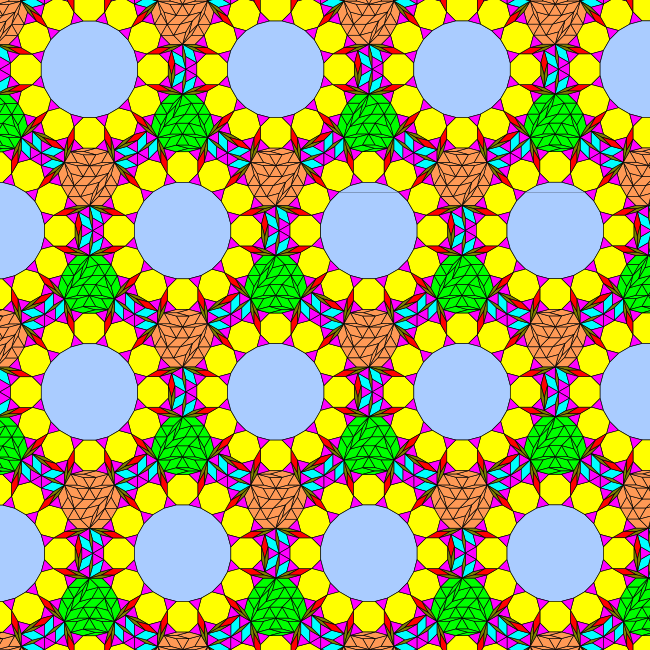 The tiling requires three regular polygon and three rhomb prototiles to complete. The rhombs are the 8-rhomb, the 12-rhomb and the 24-rhomb. 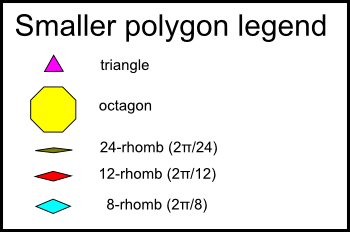 It would be interesting to know if it is possible to construct a rhomb and regular polygon tiling with both 3.8.24 and 4.8.8 vertex types.